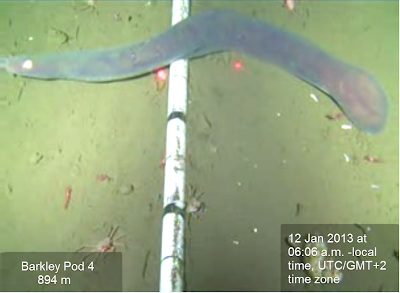 Dudko, who is obsessed with deep-sea biology, spends lots of time monitoring video feeds from sea-floor cameras and collecting clips for his YouTube channel. He singled out the elephant seal clip after spotting the quick event, which occurred in Barkley Canyon off Canada's Pacific coast. 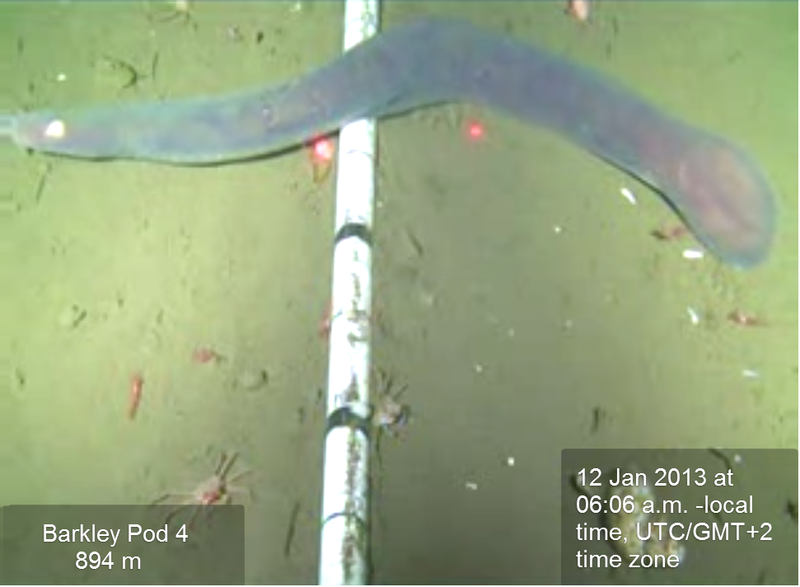 The boy, who could not identify the critter because only part of its face is visible in the footage, wrote to Neptune Canada, stating: "Suddenly, a huge creature grabbed the hagfish. You know, it was like a horror film! This creature wasn't a fish, and I realized it was a mammal because of its nose and mustache." Scientists identified the mammal as an elephant seal, a species that has been recoded diving to depths of nearly 5,000 feet. Elephant seals can remain underwater for up to two hours. Hagfish are slender, eel-like critters that favor soft-mud habitat. They're blind foragers that rely heavily on olfactory senses and feed chiefly on fish and worm-like creatures. Because they produce considerable amounts of slime, they're also called slime eels.